Jody Phibi real names Muyoboke Phibi is an afro pop/R&B artiste from Rwanda was born on 9th October 1991 . She discovered her passion for music at the age of 9 years. She is a second year student at Mount Kenya University in Rwanda pursuing a Bachelors degree in social works and business administration. 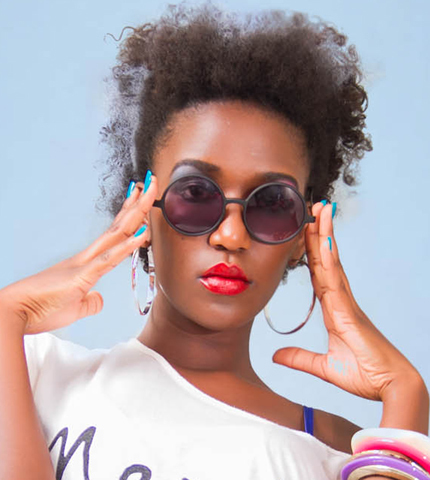 She recorded her first single “Ninjye Nawe” in 2012, she has worked and recorded with legendaries like Koudou from the Brothers group and she is also associated with Ihorere project. She then went on to record other singles like Ndacyashidikanya and Nyambika Impeta. She is an ambassador and cultural icon with Reach a hand organization. www.reachahand.org. She is currently in studio working on couple of new songs. Her new single “Tenderness” is due for release first week of March 2014.